Our oral history narrator Joseph Fiorillo, a long-time resident and real estate agent in Silver Lake, speaks in this audio clip about attempts to nominate a gayborhood. Silver Lake has been characterized as a Latinx enclave, a gay district, a bohemian quarter, and a yuppie haven. Most recently, Silver Lake has made the news as style watchers have declared that the "Brooklyn lumberjack" look of millennial hipsterism has been displaced by the "Silver Lake shaman" style, replete with a recycling of Laurel Canyon's signature 60's hippie aesthetic. To be sure, the irony of the back-to-the-land, living-low hippie ethos being converted to elite aesthetics in a neighborhood where the median house price is over a million dollars merely accentuates the broader commodification of late twentieth-century dissident subculture in the US. Yet the "Silver Lake shaman" moniker also speaks to the New York style industry's tendency to "LA-splain" the US's second city to Angelinos themselves and to New Yorkers who wonder why their city's status as the cultural capital of America still justifies rough winters and summers. For Silver Lake locals, this "shaman" styles seems much more a desert style that dropped on us with the advent of the internationally renowned Coachella Music Festival. Staged over two weekends a hundred miles from LA, Coachella's bands and fans drop into the indie rock Echo Park/Silver Lake music venues between the bookends of the festival. These venues were once gay bars and Latinx dance halls that gave way to the organic Silver Lake music scene of the 1990s. Rather than suggesting a simplistic narrative of gentrification and minority displacement, however, this neighborhood speaks to how income, style, and subculture have globalized since the Birmingham school of cultural studies started its inquires. As Daniel Hurewitz narrates in his book Bohemian Los Angeles and the Making of Modern Politics, the earliest queer presence arrived in the 1920s when vaudeville actor and female impersonator Julian Eltinge built his estate atop a hill in what was then called Edendale, Los Angeles's first silent motion picture production area. Alongside Tom Mix cowboy movies, Charlie Chaplin's early work, and Laurel and Hardy's "music box" struggles (now fetishized by Silver Lake's "stair walkers"), the neighborhood's mix of political dissidents, artists, and bohemians made fertile ground for a gayborhood, according to Hurewitz. Three decade later and two blocks away from Eltinge's mansion, Harry Hay founded the Mattachine Society as the first "homophile" group in the country, its legacy now landmarked by the city at the site of the "Mattachine Steps." The Black Cat riot and following protest happened in Silver Lake in 1968, a year before Stonewall. Hay would go on in the 1970s to co-found the Radical Faeries, a group who routinely commemorates Hay on these steps yet is unlikely to be commemorated in its own right. 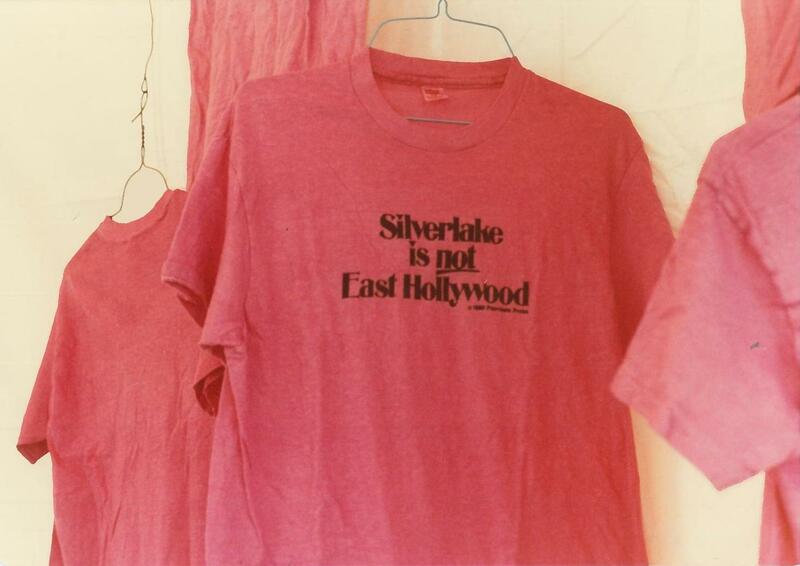 In the early 1990s, the Silver Lake music scene both overlapped with and displaced the queer scene. Today, across the street from The Silver Lake Lounge, a trans/gay Latinx bar that has survived by hosting indie rock shows, there is a new mural commemorating white straight musicians Jackson Brown, Beck, and The Silversun Pickups, all of whom lived in Silver Lake at certain times in their lives. José Muñoz commemorates this space in Cruising Utopia. 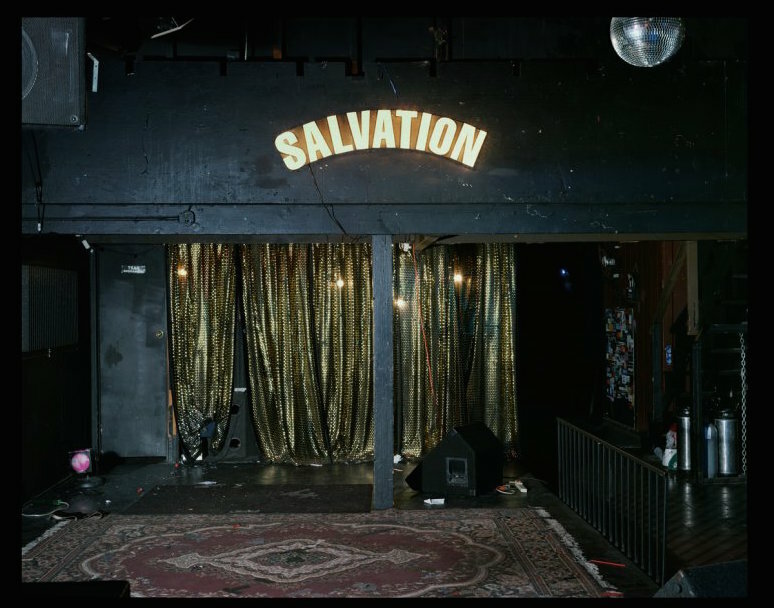 Our oral history narrator Bill Tutton ruminates here on the "salvation" that Silver Lake's music clubs and night life have offered and denied to overlapping subcultures.